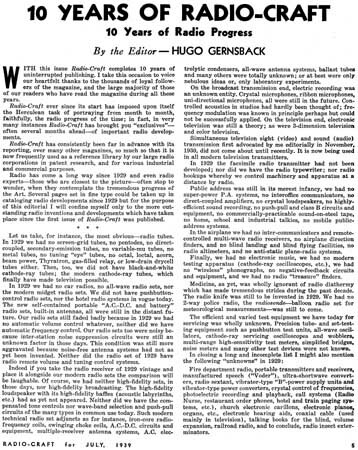 "10 Years of Radio Craft -- Ten Years of Radio Progress" by Hugo Gernsback > See Enlarged Text below. General Electric made a bold prediction that by 1944 (5 years into the future), there would be 1.9 MILLION television sets in the United States. The fact of the matter was that there were less than 10,000 sets in the whole USA, in 1944. Of course, GE had no way of knowing that World War-II would shut down television sales and production for almost five years. Perhaps a more telling part of their prediction was that there would be 200,000 sets in 1940 -- in reality it was less than 5,000. 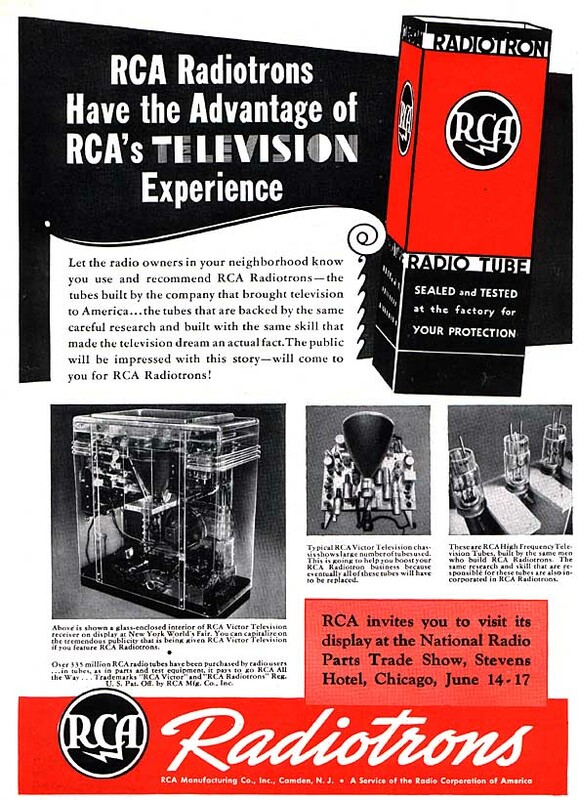 One true fact: "by July 1939 more than $13 Million had been invested in television". 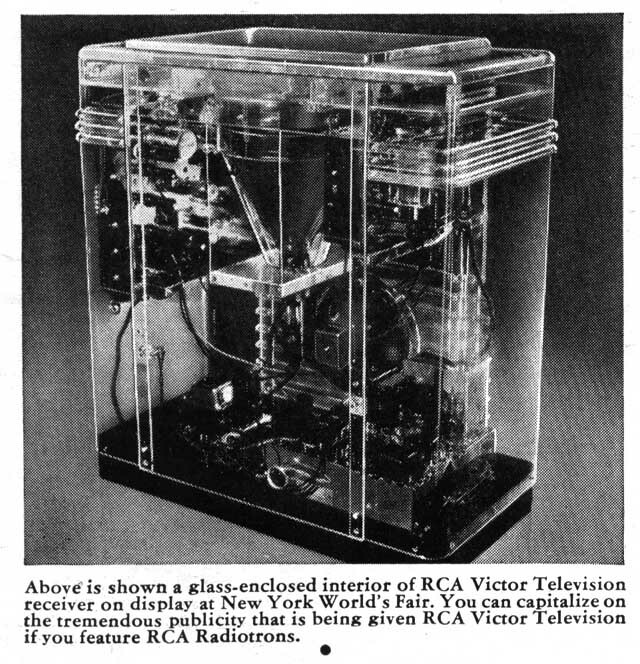 "Glass Enclosed" Interior of RCA (TRK-12) Television Set at the NY World's Fair (close-up from ad above).